With a sound as big as the original daikajiu, Godzilla, French metal act Gojira blends thrash and progressive elements to create a groove metal sound like no other. 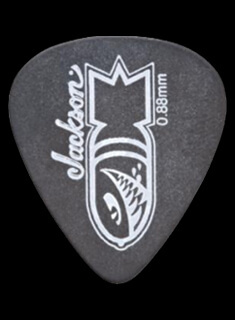 Jackson® teamed up with their acclaimed guitarist, Christian Andreu, to create his signature USA Rhoads—a massive value that has all the Jackson DNA you’ve come to know and love. Stylishly sleek and packed with the sound of thunder, this beast is ready to roar. Andreu’s demanding playing requires tone and sustain that can shake the foundations of the earth to their very core, and his USA Rhoads uses a custom Charvel MFB humbucking bridge pickup for razor-sharp high-output tones with a hint of warmth. 22 frets top the ultra-fast 12”-16” compound radius fingerboard, creating the ideal playing surface for fat riffs and easy chording near the graphite nut while gradually flattening in the upper registers for lightning-fast solos and wide bends without worrying about fretting out. 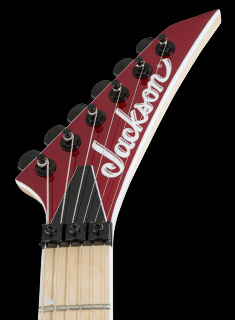 Jackson sealed die-cast machines and adjustable compensated string-through-body bridge create colossal tuning stability and accurate intonation along the entire length of the genuine mahogany neck. 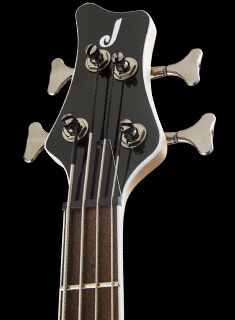 This sleek instrument is tricked out with all-black hardware, including the domed control knobs, and a Jackson pointed 6-in-line headstock for classically sophisticated metal aesthetics. 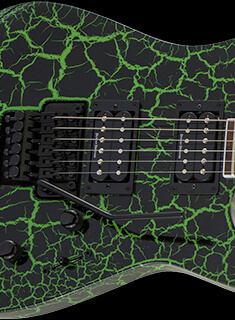 Engineered for sterling playability, crossed with Jackson’s renowned style, the USA Signature Christian Andreu Rhoads RR cranks out mile-wide riffs and leads as fiery as its namesake. 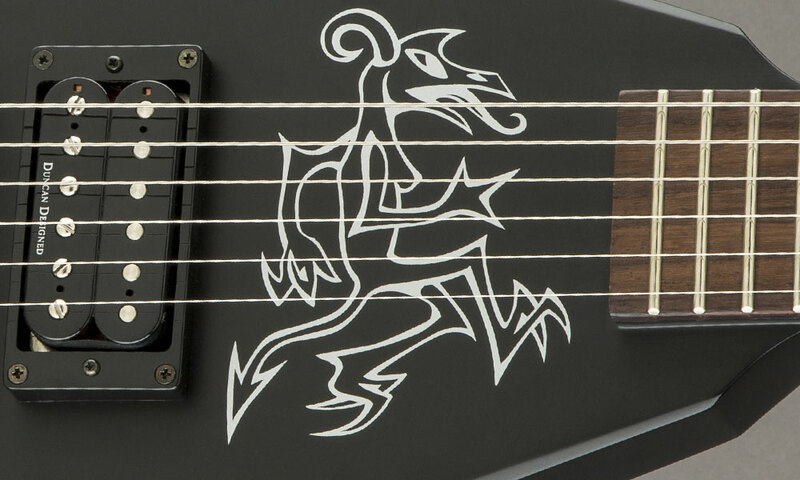 Christian Andreu’s signature dragon graphic matches the persona of the guitar—a beast unleashed that cranks out mile-wide riffs and leads as fiery as its namesake. 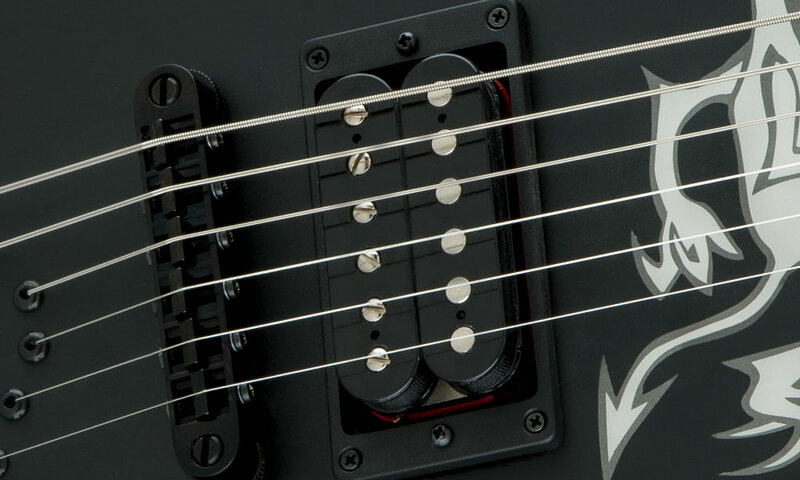 These pickups are incredible versatile and pack an extensive range of tone and dynamic responsiveness.